“I see, as in a map, the end of all”. Like William Shakespeare’s Queen Elizabeth, King Hubbert saw the end of oil not in a map, but in a bell-shaped curve, predicting as far back as 1956 that oil would peak at 12.5 billion barrels a year around 2000. Improved extraction techniques and new sources of energy have proved him wrong so far, but the crux of peak oil theory lies elsewhere. Peaking is the result of declining production rates, not declining reserves. As former Saudi minister of energy Sheikh Zaki Yamani once famously warned, “The Stone Age did not end for lack of stone, and the Oil Age will end long before the world runs out of oil.” In a world so dependent on cheap oil supplies for economic growth, backstop technologies like wind, tidal and solar are unlikely to match the world’s growing energy demand. 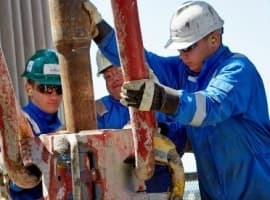 Increasingly, a majority of oil companies are trying to maximize the recovery factor (RF) of existing fields and turn to unconventional extraction techniques. On average, the worldwide production potential of oil is between 20 percent and 40 percent. Compared to the typical 80 percent to 90 percent RF from gas fields, this figure seems rather puzzling. With high oil prices in the offing, enhanced oil recovery (EOR) is being seen as an answer to the challenge of improved recovery. In the UK, the Wood Review has been adamant about the importance of such schemes to maximise the future of North Sea oil and extend the life of a declining petroleum province. Petroleum extraction occurs typically in three stages: primary, secondary and tertiary recovery. Oil and gas are extracted by creating a pressure gradient inside the drilled reservoirs. By maintaining a pressure differential between the reservoir and the surface, it forces the stream of hydrocarbons through the well. On average, only 10 percent of the available volume in place will rise unassisted to the surface, after which pressure drop in the reservoir will necessitate lifting devices such as a pump jack. Secondary recovery subjects the reservoir to water flooding or gas injection, in order to maintain oil rates at economic levels. This essentially enables to dislodge oil from the pore space that fills with water inside the rock. Unfortunately, the systematic application of both techniques may still leave 60 percent to 75 percent of the oil in place. Tertiary recovery, or EOR, is a set of techniques that enable to increase the global recovery factor beyond the 35 to 40 percent target. 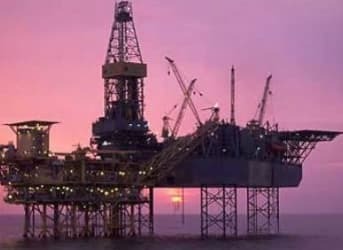 Alain Labastie, a former president of the Society of Petroleum Engineers, says that a 10 percent increase in the RF could bring about 1 trillion barrels of oil. 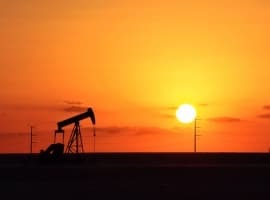 Two years ago, a report by Shell estimated that a mere 1 percent increase in the global efficiency of hydrocarbon recovery would raise conventional oil reserves by up to 88 billion barrels, the equivalent of three years of annual production at today’s levels. If oil is expected to supply 20 percent to 25 percent of the world’s energy by 2035, most of it will come from conventional plays, thereby calling for an increased use of EOR to meet the required RF and keep up with demand. Oil prices allowing, it might prove a genuine jackpot for E&P players, especially if they can find an economical way of applying it offshore too. Like hydraulic fracturing, EOR is by no means a new technology. Most of the EOR techniques in use today were first proposed in the late 1960s – early 1970s at a time of relatively high oil prices. However, there is an intimate relationship between crude oil price and field maturation, due to the additional operations expenditure incurred on each barrel produced. With a stronger focus on energy conservation and policies and continuous technology development, the U.S. and Europe are poised for increased use of EOR. The combination of high demand and depleted oil reserves will undoubtedly create strong incentives to pursue such schemes. However, the technique involves significant expenditure in the initial stages, as well as delayed cash flows, typically requiring 6 to 10 years prior to significant production. Its deployment remains very sensitive to discount rates and tax takes, as well as the type of process involved and the quantity and quality of relic oil to be recovered. It is therefore more attractive for large fields and only beyond a minimum threshold of oil prices. Depending on the selected technology, incremental costs may vary from $10 to $80 per barrel. The risk of failure is high but when it works, the resulting increase in oil rates can more than outweigh the cost of drilling new injection wells. Successful EOR will very much depend on a number of technical parameters, in particular the depth and geological characteristics of the reservoir, and the quality of the oil. Different fields will call for different EOR extraction strategies but in general, tertiary recovery requires much higher precision than primary production. A number of operators still consider it a frontier technology, in particular where complex chemistry is involved. Conventional EOR techniques fall into three broad categories: thermal recovery (to reduce oil viscosity), miscible gas injection or water alternating gas (using a miscible fluid to blend with oil and increase displacement efficiency) and chemical flooding (alteration of capillary and viscosity properties of oil). • Thermal recovery aims at thinning the oil and enhancing its ability to flow after hot steam has been applied to the reservoir. Historically the most common method, steam injection reduces the viscosity that ties big molecules of asphaltenes to the rock surfaces, allowing the removal of trapped oil. Representing more than 50 percent of applied EOR in the US, it is the second most widely used EOR technique today with gas injection. • By blending with oil, miscible gases increase its displacement efficiency. In technical jargon, they reduce interfacial tension (IFT) between oil and the displacing fluid (the miscible gas), mobilising more of the oil – like turpentine with paint. The injected gas may be natural gas, carbon dioxide or nitrogen depending on what is available. A number of past applications were in fields close to natural sources of CO2 or gas from other fields with no ready market for their output. • Chemical flooding describes the addition of chemicals to the water, resulting in either lower IFT of water with oil (use of surfactants and alkalis), or a higher viscosity of water to match that of the oil (polymer flooding). Again, the idea is to achieve a more favourable mobility ratio and a better displacement of oil from the reservoir to the well. According to a recent study from Visiongain, oil extracted by chemical EOR processes will produce 377,685 bbl/d by the end of 2014, amounting to a $2.25 billion expenditure. In general, gas injection is more economical and is used when gas is a by-product of the oil production. 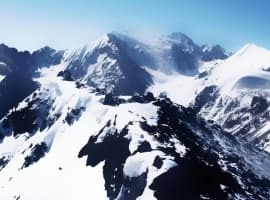 The technique has gained in popularity due to the possibilities of connection with carbon capture and storage (CCS) schemes to create a CO2 value chain. It represented 35 percent of EOR market share in 2012, against only 5 percent for chemical injection, and a lion’s share of 60 percent for thermal processes. Thermal methods are mostly used in tar sands, with current projects in Canada, California, Indonesia and Romania. Representing more than 50 percent of applied EOR in the U.S., it is the second most widely used EOR technique today with gas injection. Beyond the costs involved, most of these techniques have been rather slow to develop offshore, due to the economics underlying their deployment. Chemical EOR, in particular, has played a limited role due to the weight of facilities and storage space required to store and process the additives, as well as the power limitations and difficulties to retrofit them on ageing offshore infrastructure. Yet, business consultants Frost & Sullivan estimate that the chemicals injection market share will increase to 20 percent by 2019. The only country where chemical EOR has been successful so far is China, but the prospects for wider chemical EOR deployment look optimistic. Projects are now being pursued in Oman (Marmul), Canada, the US, India, Argentina, Brazil, Austria and Argentina. EOR is also being increasingly considered for a number of offshore developments. Subsea processing and the common use of water and gas injection for secondary recovery offshore are now closing on EOR techniques. BP’s Ula field in the North Sea is now producing only EOR oil. And other projects like the successful EOR scheme on the BP-owned Magnus play have already broken interesting ground in terms of piping the gas from a (400km-) distant facility onshore. Should the first CCS demonstrators prove successful, there might be even more scope to deploy CO2-EOR worldwide.